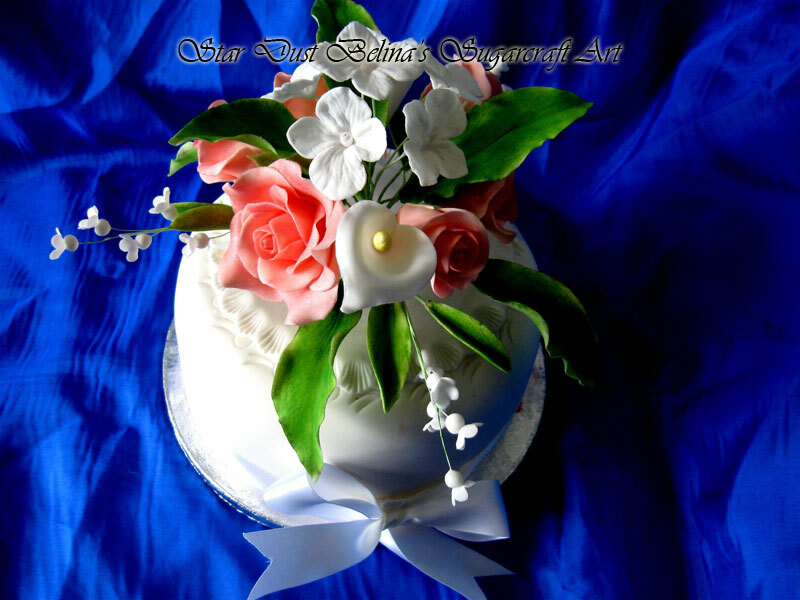 A beautiful ready made up spray of pink roses, calla lilies, and white flowers whit green leaves. Large flowers Spray hand made. 300 mm approx.